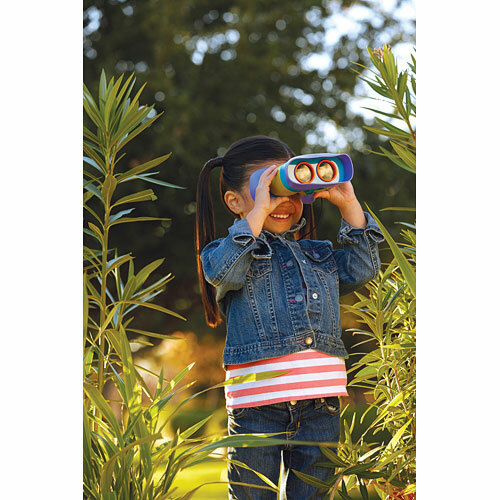 One look at these kid-friendly binoculars and it’s clear they’ve been designed with real vision. Enlarged eyepieces make placement nearly foolproof, so kids can see the world around them with focus-free 2x magnification. Around the house, in the yard or on travel adventures, they’ll be a go-to companion. 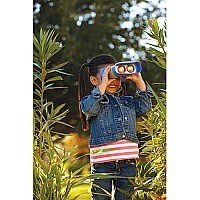 There’s a comfy neck strap to prevent dropping, although these kidnoculars are built tough and durable. From Educational Insights, for ages 3-8 yrs.